Description: Point of view driving vehicle shot of driving past endless flat farmlands in North Central Texas. A traveler's view of an empty road in the middle of nowhere that stretches forever to horizon. 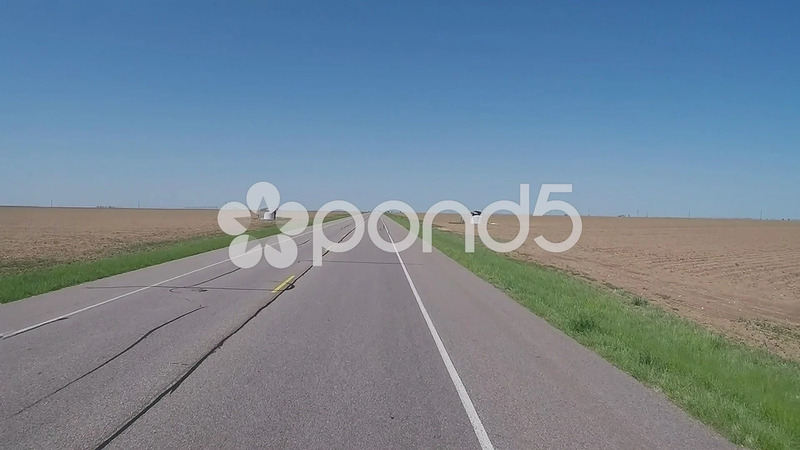 Part of a series of clips by ChromaVid featuring point of view driving vehicle shots.